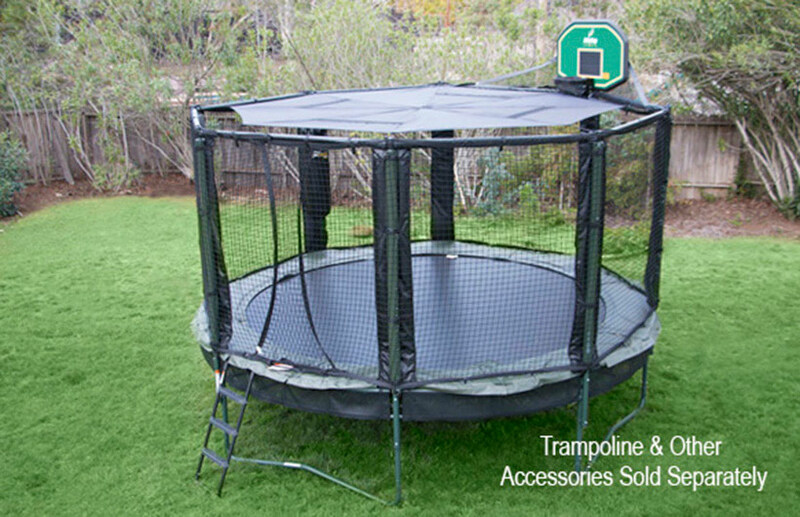 Works on any JumpSport Classic, JumpSport Elite or AlleyOOP 12′ or 14′ round trampoline! Attaches securely to your JumpSport Classic, JumpSport Elite or AlleyOOP Safety Enclosure! Has 4 + 1 mesh windows that allow for air flow but still keeps sun off the kids! Keeps debris off the trampoline when not in use. Canopy should be removed in high wind, rain or snow. 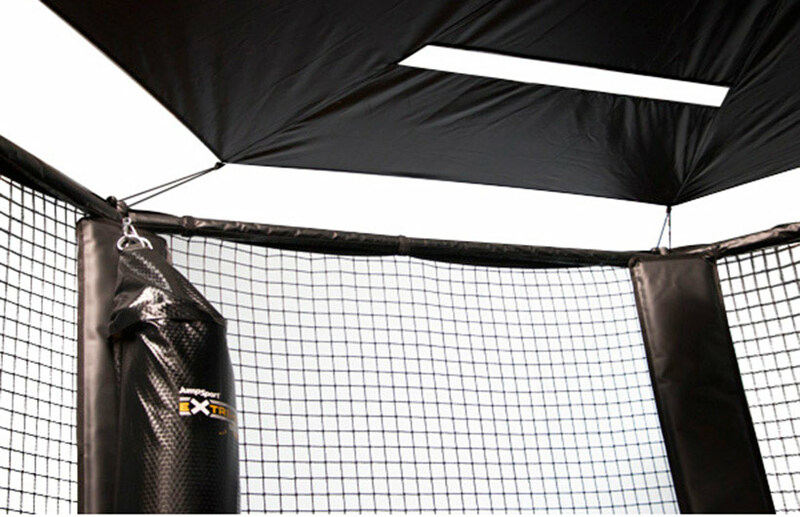 Fits on any 12′ or 14′ JumpSport Classic, JumpSport Elite or AlleyOOP 8 pole enclosure system! Keep your kids cool! Turn your trampoline into a shaded Fort on hot sunny days. Soft top installs in 5 minutes for quick on and off so older kids can jump! Added bonus of keeping debris off the trampoline.